On February 11, presentation of the book, titled “Memory of Ararat: 100 years of the most forgotten genocide” was organized in Madrid. The author of the book, Xavier Moret, is a well-known writer, journalist, author of a range of books, articles and TV shows, won the Grandes Viajeros (Great Travelers) Award for his book “Islandia, la isla secreta” (Iceland, the secret island) in 2002. Press and information department of the RA Foreign Ministry informs about this. The book “Memory of Ararat: 100 years of the most forgotten genocide” is comprised of 270 pages. The book is not just a list of historical events. In the story, written in traveler’s note style, the author presents to the reader his and his photographer friend’ trip to Armenia and Nagorno-Karabakh. Stressing that the memories of the Armenian Genocide are found in almost every Armenian family the author expresses his admiration for the ability of Armenian people, despite endured inhumane sufferings, to rebirth, establish independent statehood and preserve its rich spiritual heritage both in Armenia and in Diaspora. In the epilogue the author mentions, “Yes, it is rather difficult to find yet another nation in the World, that is spread this much, but, this much united and sticking to its roots. 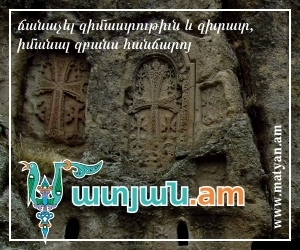 It is true saying then, that wherever an Armenian meets an Armenian they create their own Armenia”.